Innovators in biotechnology, electricity and sustainable transportation are being challenged to bring their best technology ideas forward. 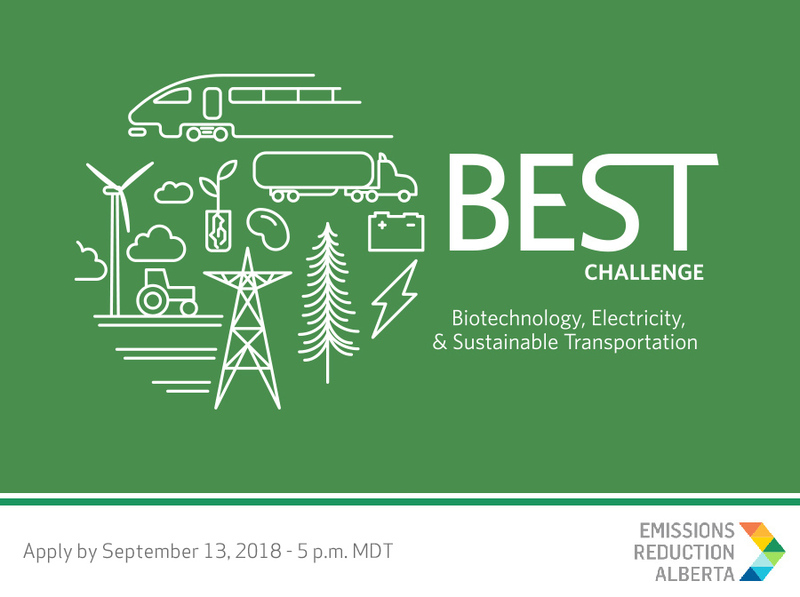 Emissions Reduction Alberta (ERA) has announced the BEST (Biotechnology, Electricity and Sustainable Transportation) Challenge, with $70 million in funding. Applicants are encouraged to collaborate with other organizations and engage with Alberta’s post-secondary and research institutions. The strategic focus areas of the BEST Challenge account for up to 40 per cent of Alberta’s annual GHG emissions and underpin all sectors of the province’s economy. The Challenge will strengthen existing industries and establish Alberta as a leader in a low carbon future.